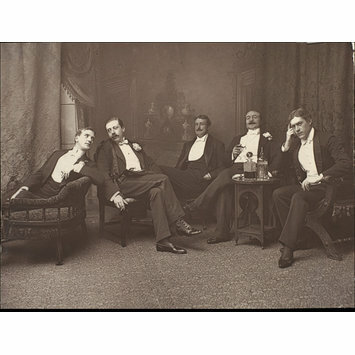 Photograph of George Alexander as Lord Windermere, Ben Webster as Mr Cecil Graham, A. Vane-Tempest as Mr Dumby, J. Nutcombe Gould as Lord Darlington and H. H. Vincent as Lord Augustus Lorton in Lady Windermere's Fan, St James's Theatre. 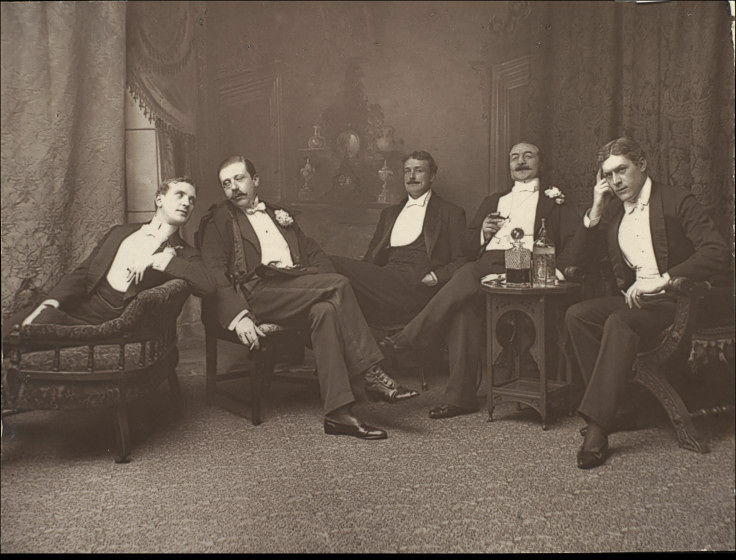 Sepia photograph of George Alexander as Lord Windermere, Ben Webster as Mr Cecil Graham, A. Vane-Tempest as Mr Dumby, J. Nutcombe Gould as Lord Darlington and H. H. Vincent as Lord Augustus Lorton in Lady Windermere's Fan, St James's Theatre. 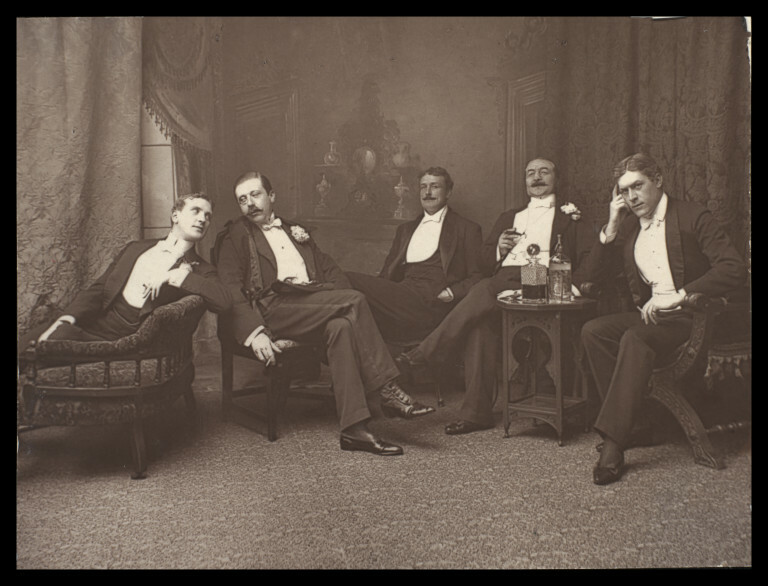 Photograph of George Alexander as Lord Windermere, Ben Webster as Mr Cecil Graham, A. Vane-Tempest as Mr Dumby, J. Nutcombe Gould as Lord Darlington and H. H. Vincent as Lord Augustus Lorton in Lady Windermere's Fan, St James's Theatre, 1892, Guy Little Collection.